District 29 – December 2013 – Lincoln Nebraska A.A.
DCM: Albert S. Life Preserver: Steve B. Traditions read by: Steve B. – Budgets were approved and new officers elected. – Continuing to visit groups to identify the new G.S.R. or a point of contact. – The position of DCM, alternate DCM, and Secretary are still available. – Steve B. (currently intergroup rep) volunteered to become the DCM. There was no one opposed. – Now that Steve B. is DCM the remaining positions available to be filled are alternate DCM, Secretary, and Intergroup rep.
Area 41 accept annual contributions from individual A.A. members and one-time, non-perpetual bequests from A.A. members’ estates at a limit of 50% of the amount set by the General Service Conference for GSO. Background: Area 41 has no policy concerning contribution limits from members and members’ estates. 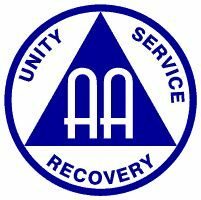 The General Service Conference of Alcoholics Anonymous sets the limit for the General Service Office (GSO). When the Area 41 Treasurer recently received a contribution from an A.A. member’s estate, the contribution was held, and the issue was brought to the Finance Committee. The Area 41 Finance Committee believed that a policy should be set before any money was accepted. The Area 41 Treasurer contacted the attorney of the member’s estate where the contribution originated, and was informed that the estate cannot be closed until this matter is settled. Because others outside A.A. are affected, the Area 41 Finance Committee wishes to act quickly and move this item for vote as soon as possible. The General Service Conference last adjusted the limit that could be received from a bequest to $5000, and raised the annual limit from individual A.A. members is $3000. The General Service Office has a budget of approximately $15 million. Obviously Area 41’s budget is much lower. The Area 41 Finance Committee discussed the proportionate difference between GSO’s budget and Area 41’s budget, and the fact that the General Service Conference occasionally reviews and adjusts the contribution limits. The unanimous conscience of the Area 41 Finance Committee was to set the rate at 50% of whatever the General Service Conference sets, so that Area 41 does not have to discuss and adjust whenever needed. For example, if this policy were adopted, Area 41 would accept up to $1500 from individual A.A. members on an annual basis, and up to $2500 as a one-time bequest from a member’s estate until such time as the General Service Conference adjusts the limit. This proposal pertains to estates and individual members’ contributions only, and has no bearing upon what Area 41 can receive from A.A. groups. Original Background: The Area 41 Financial Guidelines have not been updated since the committee system was approved in 2006. Area Agenda Item 2012-03-10 007 passed by the Area Committee in September 2013 is another reason an update of the guidelines is required. Additional Background: The Finance Committee met October 5, 2013, for the sole purpose of rewriting and updating the Financial Guidelines. Major changes and the reason for those changes follow. First page – The members serving on the Finance Committee were updated to reflect the committee system adopted by Area 41 in 2006. Section 1 – Changed the purpose of the Finance Committee from carrying the message to accounting for Area’s funds. See Tradition 5 and Tradition 9. Section 2 – Changed the budgeting process from budget approval the first meeting of each year to the last meeting of the year to prevent starting a year with no budget, and stop requiring a new Treasurer to present a budget he or she may not have been involved in creating. This already has been the practice some rotations. Section 3 – Changes relate to the passing of Agenda Item 2012-03-10 007 where Area operating funds are maintained at one bank. Committee was unable to find reliable Past Actions involving what financial material goes in the newsletter and what does not. There is some conflicting and incomplete information. Solution was to change publishing requirement to all account balances plus what “the Area Committee deems necessary for full accountability.” We look forward to continued guidance from the groups. Section 4 – Change reflects recent Area action involving how mileage rate is calculated. Also added clarification on what non-Area 41 events are reimbursed and which are not. Section 5 – Finance Committee was unable to obtain historical information on Prudent Reserve. Changed some wording to be show flexibility and be less demanding. The current Finance Committee supports the next rotation looking into Prudent Reserve more thoroughly, but for now basically left this section as it was previously. The Finance Committee requests that the draft of the Financial Guidelines be published in the newsletter for background material. Discontinue publishing a hard copy version of the Area 41 “where & when”. Background: Due to the difficulty of getting and maintaining current meeting info by the Area 41 Registrar, much of the info is out of date by time it goes to print. All the information is also available on the Area 41 website. The quantities required to earn a price break on printing costs seem unjustified when there are a large number of copies left that don’t sell and end up being given away. – Back to Basics – All positions have been filled for the next term and the meeting continues to grow. – Life Preserver – The group is still looking for a GSR and an intergroup rep for the next term (2 years). The meeting is still going well with about 30 people. Rent is going up and the group is looking for a possible new location. © 2019 Lincoln Nebraska A.A.